The Dublin City University freshers’ football team and DCU Karate Club shared Team of the Year honours at the Clubs and Societies Awards in Clontarf Castle on Thursday, April 6th. The event, which is hosted annually by the Students’ Union, was moved off campus this year after being hosted in the Helix in 2016. 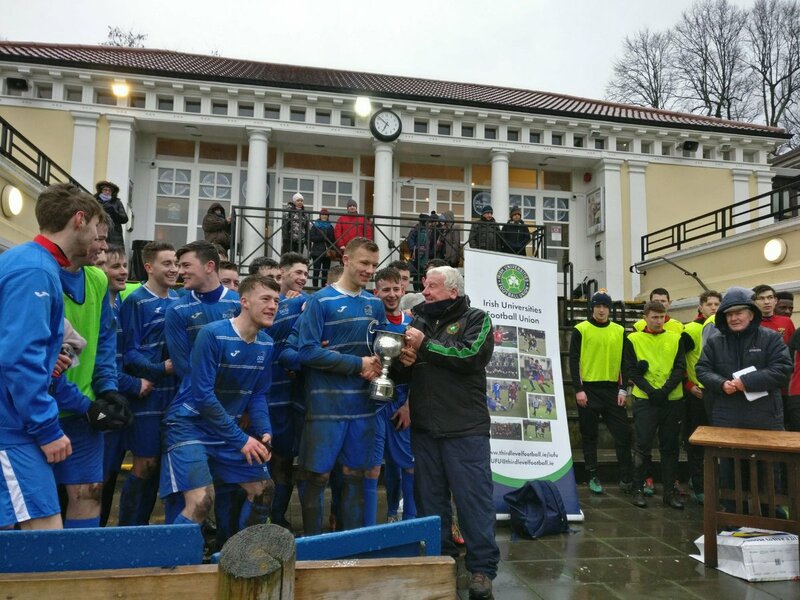 The freshers’ footballers were awarded their half of the prize in recognition of the team’s Harding Cup success in February, the first in the history of the University. Meanwhile, the other half of the award was bestowed upon the Karate Club for its dominance of the 2017 All-Ireland Karate Intervarsities Competition. Keelan Gannon claimed individual gold in the Senior Men’s Kata practice with DCU also winning the team competition. Orla McNabola claimed bronze in the Senior Women’s Kumite practice, while DCU were runners-up in both the Senior Women’s Kata and Kumite competitions. Elsewhere, there were individual and team wins for DCU in the Junior Men’s and Women’s competitions. Robert Collins’ gold in Kumite was complemented by team gold in the same practice. DCU took two spots on the same podium with the University’s first and second teams winning gold and bronze respectively in the Junior Women’s Kata competition. Margaret Osa Esokpanaba took a silver Kumite medal back to Glasnevin as well as a team bronze in the same field.